In an era of digital weight management and a growing number of apps that support tracking metrics relating to weight, health, BMI, and overall nutrition, companies have been finding ways to integrate bluetooth and tech features to live products, within the same healthcare/nutrition space. 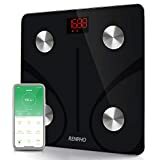 This has resulted in a number of high-tech scales with integrated bluetooth connectivity, to calculate all relevant numbers and relay the information to different health apps and devices. 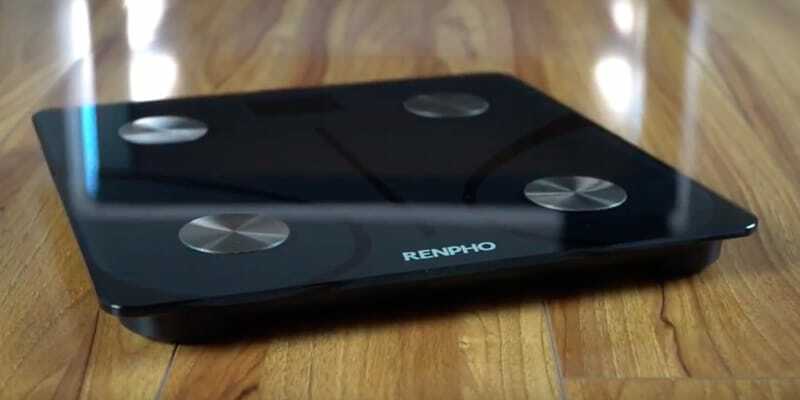 One of the most accurate models, at a reasonable cost, is RENPHO’s bluetooth body fat scale. In this RENPHO smart scale review, we’ll discuss the various features provided by the scale, and whether or not it’s worth the purchase. The smart scale calculates 11 essential measurements, including body weight, BMI, water percentage, skeletal muscle, protein, bone mass, muscle mass, fat-free body weight, body age, basal metabolism, and body fat percentage. It connects to the free RENPHO app, and Apple Health, FitBit, and Google Fit. But how much accuracy is there in calculating body fat and other measures? The measurements provided seem accurate and comparable to more expensive models and even medical-grade products. The ability to track all information in an app without any data entry is also quite helpful. Many scales seem to have calibration issues and lose function over time, but I’ve found this product to pass the test of time with a high-degree of accuracy and reliable stats. The design is sleek and the product is durable, without being physically heavy. I was able to sync and track all information to my iPhone health app, where you can track progress over time or use features to connect with other intake/nutrition information. 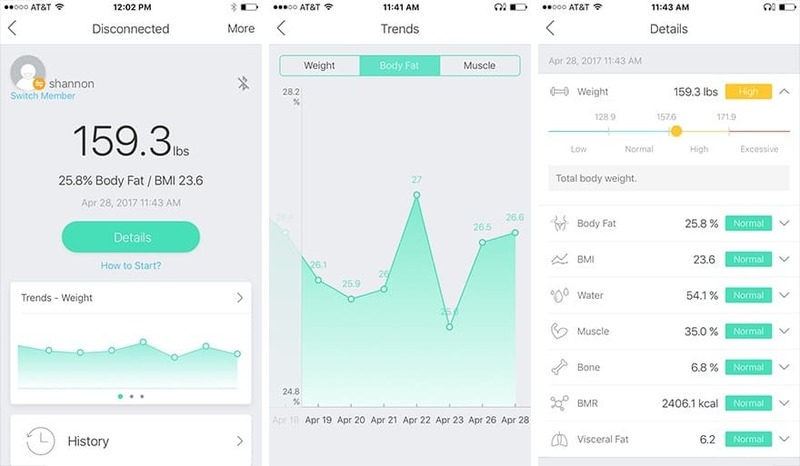 By monitoring accurate metrics over time along with features of other apps (to record diet, daily steps), you can see and track your own progress in real time and get a sense of the best practices that help with weight loss from a more individualized perspective, and review your progress from there. By the way, if you’re on a weight loss mission, we highly suggest checking our review on Sun Basket. Sun Basket offers low-calorie meals and we have an awesome coupon code available for them at the moment! Considering the reasonable price point for a bluetooth compatible scale with varying metrics and information ($27.99), this scale has so many great features and benefits to use. Data syncs quickly and accurately to the app, which is free to download and compatible with any iOs or Android device (downloaded via Apple or Google Play). Even if your phone is not connected, the data will sync at a later time when it is connected. The RENPHO app then syncs to other nutrition apps or health apps on your personal phone, if desired. The smart scale is equipped with four high-precision sensors and four electrodes to ensure an easy and accurate body composition and body fat analysis, which doesn’t seem to have any calibration issues. My previous scale ($15, no special features) only measured daily weight, but would often be highly inconsistent and inaccurate, with surprising readings on other scales or medical scales. Users can enter all of their personal information (i.e. age) for a more customized and accurate assessment, and there’s even an option for athletes, although the product is not designed for professional athletes. RENPHO Body Fat Scale: Overall Accuracy? Does It Calculate Body Fat? The RENPHO smart scale and corresponding app have a multitude of benefits to use and provide a very high degree of accuracy in calculating body fat and other measurements, comparable to models with similar functions and features that come at a higher cost. I had no issues with using the app or scale and found syncing information easy and easily trackable, however some users have expressed a couple of drawbacks upon review. If there is any dissatisfaction with purchase, or the scale is not in working condition or has functional issues, RENPHO provides a full refund for the purchase price of the item, and may also offer a working product or exchange free of any additional charge. Anyone new to smart scales or products in the category may have fears assuaged prior to purchasing by the policy and commitment to making sure the scale is working and accurate. RENPHO Body Fat Scale: Worth It? While I haven’t tried or used a smart scale, or even a scale with multiple readings and metrics readings prior to this, it was a great product and would likely make an excellent addition to anyone’s current healthcare or fitness regimen. Readings were accurate, consistent, and reliable. Although some have expressed experiencing a few snags along the way, the general consensus is this product is highly valuable, considering features and benefits of use and overall functionality. This makes an excellent option for both introductory users of smart scales and more savvy consumers, with the latter discussing benefits of this model over very pricey options. The app is easy to use and the bluetooth connection is strong. The best feature I found with this product, other than increased accuracy of information tracking (such as fat percentage) and reliability, is the ability to sync to various health tracking and nutrition apps on your phone. Using this feature you can really gain some insight on what types of diet or exercise programs are providing the best results, and you may opt to continue or shift your current nutrition plan based on what is the most effective. This makes the smart scale fairly individualized, with a variety of customizable applications to use.